Thank you for visiting the All About Inklingo blog. I am a quilter, teacher, publisher, and inventor of Inklingo, living in Ontario Canada. Monkey is my sidekick. He is a hand piecing snob, but I enjoy hand piecing, machine piecing, and appliqué. 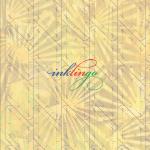 Please visit my web site at https://www.lindafranz.com to start inklingoing today. Don’t miss the free demo video, shape collection, patterns, and articles under Support. Bio and contact info are on the web site. I just watched your fourth video. I enjoyed it very much. My question: I want to make the simplied version that has it’s own pinterest site…the one you showed that has the fussy cut four 90 degree hexagons. You have 3 different sizes. My guess is that it is the 1 1/2 inch 90 degree Hexagon I need to buy., but I’m not sure. Could you tell me which one? Hi Patricia, I’m glad you like that one. Thank you for letting me know. I used 1 inch 90 degree hexagons for that one but it would work well with any of the 4 sizes. (0.5 inch, 0.75 inch, 1 inch and 1.5 inch) If the designs in the fabric are large or if you want to sew some of it by machine, the 1.5 inch hexagons are good. If you have questions, please ask. Hello, I discovered your site thanks to a girlfriend of my French group on the Passacaglia. Inklingo est utilisé dans plus de 65 pays maintenant et malheureusement, je ne peux pas traduire dans les différentes langues que l’utilisation de la courtepointe. J’utilise souvent freetranslation.com pour allemand, néerlandais, espagnol, français et de nombreuses autres langues. Inklingo is used in more than 65 countries now and unfortunately, I cannot translate into all the different languages that quilters use. I frequently use freetranslation.com for German, Dutch, Spanish, French and many other languages. J’espère que votre déménagement se passe bien et que vous apprécierez en utilisant Inklingo lorsque vous êtes installés dans votre nouvelle maison. 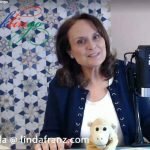 Si vous avez des questions sur la mise en route, vous pouvez m’envoyer un courriel à Linda@lindafranz.com. I hope your move goes smoothly and that you will enjoy using Inklingo when you are settled in your new home. If you have any questions about getting started, you can email me at linda@lindafranz.com. I’m looking for instructions/video on how to initially set up the fabric. I’ve never ironed freezer paper onto fabric. Perhaps I’m over complicating the concept. Does the freezer paper just stick to the fabric? Do you have a video on how to do the initial setup of fabric? I am happy to help. There is not a video showing how to iron but there are a few articles in the Top Ten Tutes on the blog that you should find helpful. The shiny side of the freezer paper has a plastic coating. It will stick temporarily to the fabric when you press it with a HOT dry iron and then it peels off neatly when you are finished, so you can use it again and again. includes articles about printing on fabric, freezer paper, etc. Quilters have been using freezer paper to stabilize fabric for printing and for applique and hand piecing templates for decades. I think it may be simpler than you imagine but if you have any other questions, please ask. All you need is a computer (Windows or Mac), Adobe Reader (free), and an Inkjet printer. There are step by step instructions and a video on the Welcome to Inklingo page on the website to make it easy to start printing on fabric. If you have questions about downloading, opening, or using Inklingo, please ask. The quilters I worry about are the ones who have questions but who don’t contact me. I am a quilter too and I am happy to help, so you can enjoy using this amazing tool. Inklingo IS the quilting tool we’ve always wanted. I love the curvy hexes, how much are they a set, and how much for postage for them all. I live in Australia? I am just joining with enthusiasm of viewiong your videos on U Tube and found good ideas ahead! How ironic! Years ago I started out hand tracing templates with pencil & when I saw Inklingo I knew this was for me! the perfect ticket! Only I don’t have to do all the work! Just print & get to it! I have MS & cannot thank you enough! Linda thank you for all of your assistance. Love the inklingo style of quilting. 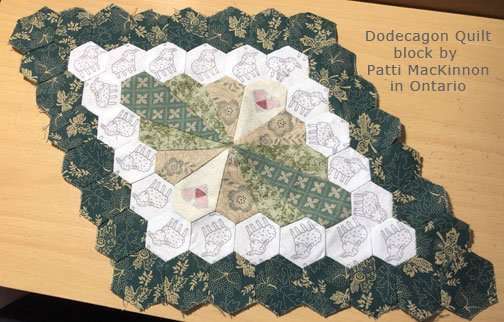 I love paper piecing, this look like a great way to save some some prep time and increase sewing time. and have now printed four of Rosette 1. I enjoy your Diamonds method so much,Your instructions and DVD are wonderful.i am looking forward to going back to them with Inklingo. 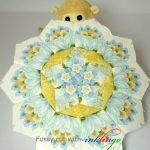 Could you please share your method of piecing the small stars in the Rosettes .I a trying to see if there is a simple continuous path. I pieced sections together before putting the ring together in EPP. Thanks again and congratulations on such a great system. 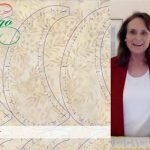 Linda, I am a newbie with your product and I’m hoping the DVD helps me get more comfortable hand sewing the stars. The Y seams se to give me fits. Also will be interested to know any info regarding use of Imklingo patterns on a Cameo cutter which I too have just acquired mainly for cutting paper pieces before buying some of the Inklingo shapes. I rewashed my fabric, made sure my iron was on cotton and added a small lip of FP off the edge. It worked I am now ready to cut two pieces for two blocks. Hope you are doing great. I recently acquired a Silhouette Cameo cutter and was wondering if it could be used to not only print my inklingo shapes but also have them cut. I love my inklingo projects and can see these two working great together. i know you have some shapes for EQ and was wondering if you have something for fabric cutters too. looking forward to all the new ideas to learn!! I think the comments should be in order of the newest first. Time saver because we don’t have to scroll to the end all the time to see the latest postings. I have been asked to confirm my subscription about four times and I still don’t know if it’s been confirmed. Thank you for accepting me. Can’t wait to try these products. 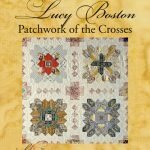 Just got the Lucy Boston Patchwork of the Crosses book with all the info on Inklingo! This promises to be great fun.